Sign up to be Notified when the next collection drops! Thanks for adding your name to the Inktober Collection list. In 2009, Illustrator Jake Parker set out on a mission to refine his inking skills and develop positive drawing habits. 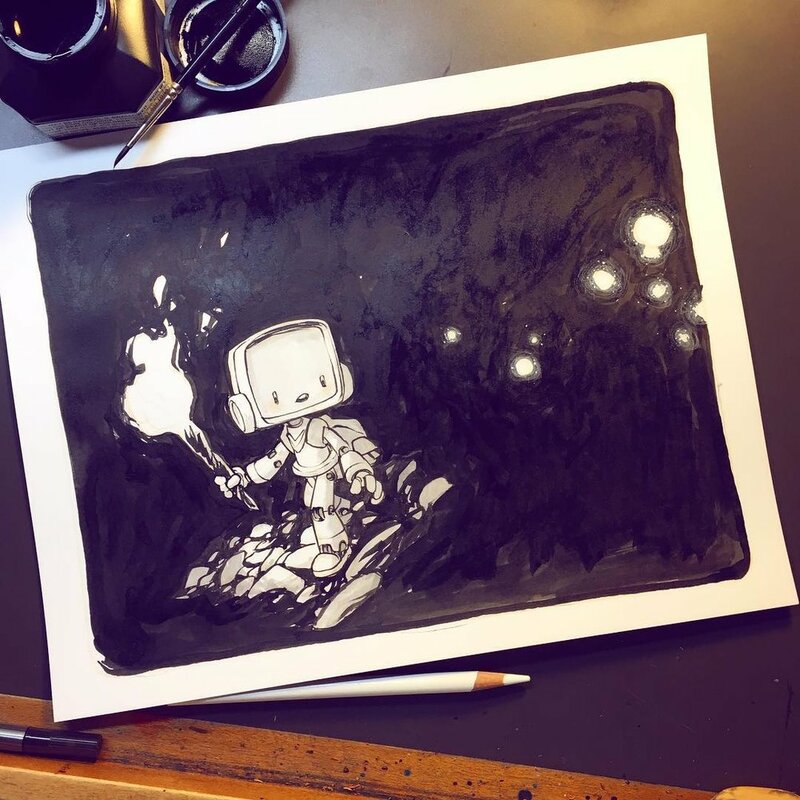 For the entire month of October, Jake challenged himself to create a drawing every day, using only ink-based products. After watching his technique evolve, Jake decided to dedicate every October to his passion for ink drawing – and “Inktober” was born. 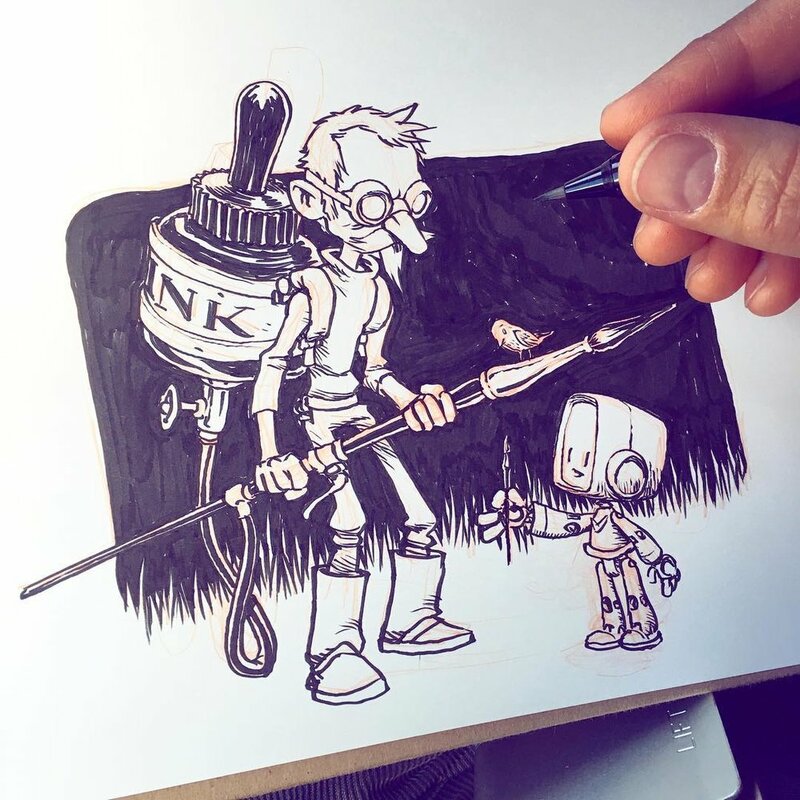 Since then, Inktober has grown into a worldwide movement with thousands of artists taking on the challenge every year. Shipping week of September 4th, 2018. While supplies last. 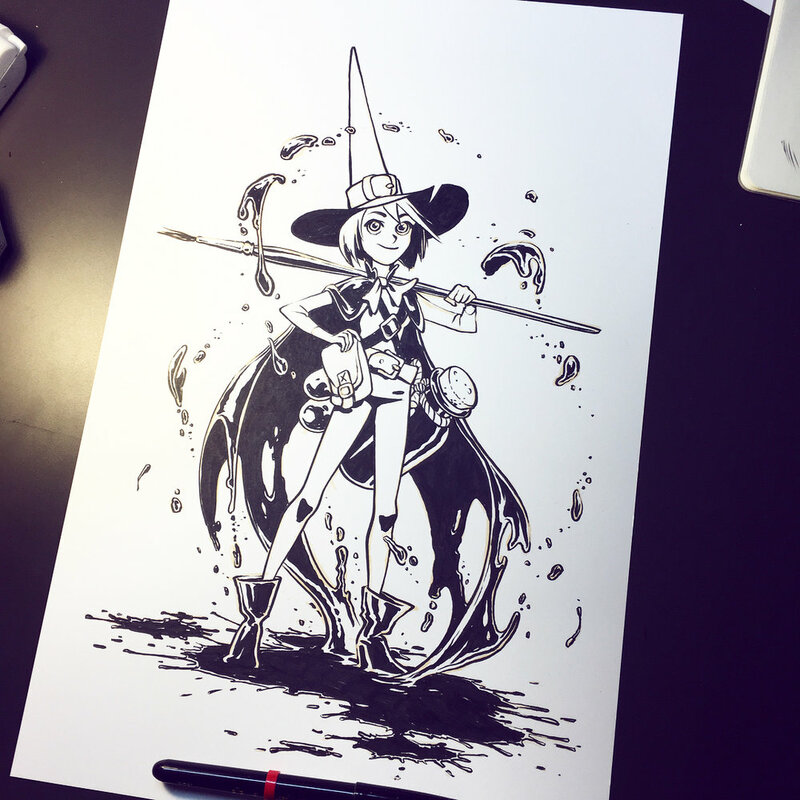 Every October, artists all over the world take on the Inktober drawing challenge by creating one ink drawing per day for the entire month. 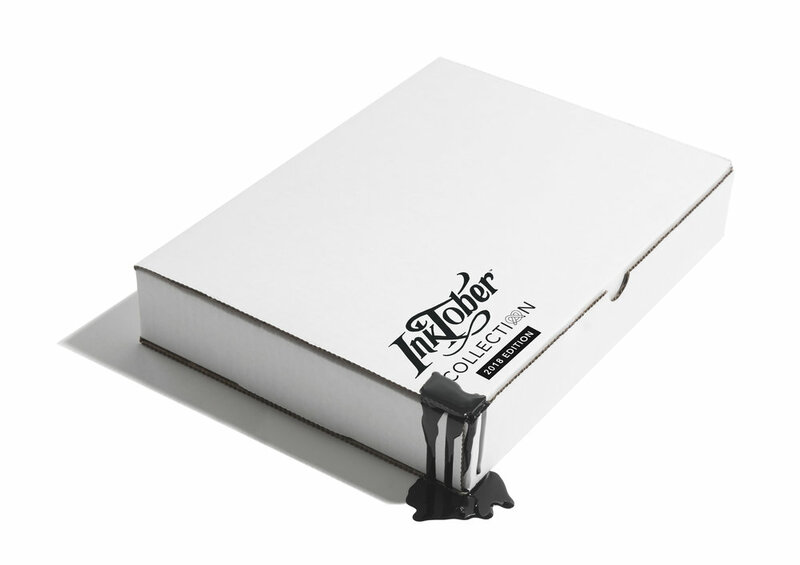 ArtSnacks has partnered with Inktober to offer a limited edition Collection. It features expertly curated full-size premium products mailed to your door, ready to use for the month of Inktober. This box is now available for pre-order! Note: This is NOT a monthly subscription. HOW IS THIS COLLECTION DIFFERENT FROM LAST YEAR’S COLLECTION? This Collection is completely different from previous years. It features new products, new ideas, tons of inspiration, and Jake Parker (founder of Inktober, of course)! You can pay using Visa, MasterCard, American Express, or Discover. We do not accept checks, money orders, or PayPal. Note: You do not have to create an account nor have an existing account to purchase the ArtSnacks Inktober Collection. WHEN WILL THIS BOX SHIP? Inktober Collections will ship out the week of September 4th. You’ll receive a shipment notification with tracking information once your box ships. It will take 3-10 business days for domestic boxes to be delivered, and 7-14 days for international shipments to be delivered. I HAVE MORE QUESTIONS ABOUT THE INKTOBER COLLECTION! All Inktober Illustrations featured on this page are © 2018 Jake Parker.